From the looks of things, it seems the Chinese phone maker is now paying much attention to budget smartphones more than they did over the years. The introduction of S, A and i series attached to original phones just confirmed that. The Huawei Honor 8S as the new suggest is an affordable mid-range smartphone from the company. The handset is rocking similar body design with the Honor 8A that was launched some times ago. The device sports a decent body with good specifications. In terms of body design, the phone features a beautiful body although built plastic. The smooth panel manages to squeeze out a camera with an LED flash. There’s no fingerprint sensor on the device. The Honor 8S is shipped in multiple colors that include Black, Blue, and Gold colors. 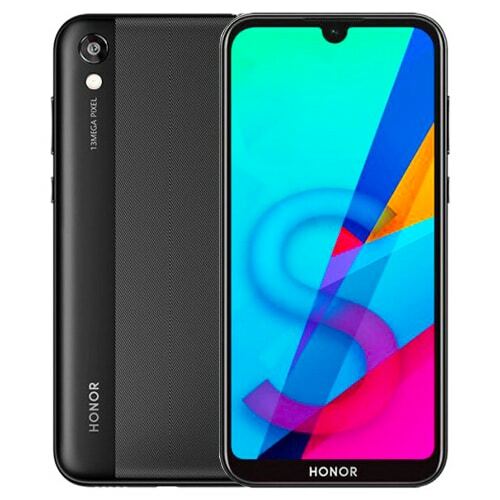 On the front, the handset has a waterdrop notch that offer’s a large screen display size of 5.71 inches under IPS In-Cell Touch screen. It has a screen resolution of 1520 x 720 Pixels with 295 PPI density which will deliver clear visuals. The Huawei Honor 8S has a single rear camera of 13 Megapixels paired with dual LED flash. The main camera has other internal features that will ensure good photos. It can also shoot 1080p@30fps, 720p@30fps video resolution as well. For selfies, the phone has a front facing camera of 5 Megapixel with Face Unlock and F2.0 Aperture. The FaceID will be the only security feature on the device. On the inside, the Huawei Honor 8S is equipped with a MediaTek Helio A22 built with 28nm LP process technology. The handset has a quad-core processor that clocked at a speed of 2.0GHz and PowerVR GE8300 got graphics. It runs on Android 9.0 Pie operating system with EMUI 9.0 slapped on top. Huawei Honor 8A VS Vivo Y93 Lite: Which One Will You Choose? Huawei Honor 8A Pro VS Lenovo K6 Enjoy: Which One Will Perform Better? The Huawei Honor 8S is available in two variants. The first has 2GB RAM with an internal memory of 32GB, while the second has 3GB RAM with an inbuilt storage of 64GB. You can still expand both phones memory using micro SD card. The sensors on the phone include Proximity Sensor, Accelerometer and Ambient Light. The Huawei Honor 8S has support for the 4G LTE network. Apart from that, the phone also has dual SIMs slot for SDCard. Other connectivity options are Wi-Fi 802.11 b/g/n, Wi-Fi Hotspot, Wi-Fi Direct, Micro USB v2.0 and GPS, A-GPS, GLONASS, BeiDou for navigation. The Huawei Honor 8S has a nonremovable battery capacity of 3020 mAh without fast charging technology. On the price, the phone is expected to sell at a price of $129.